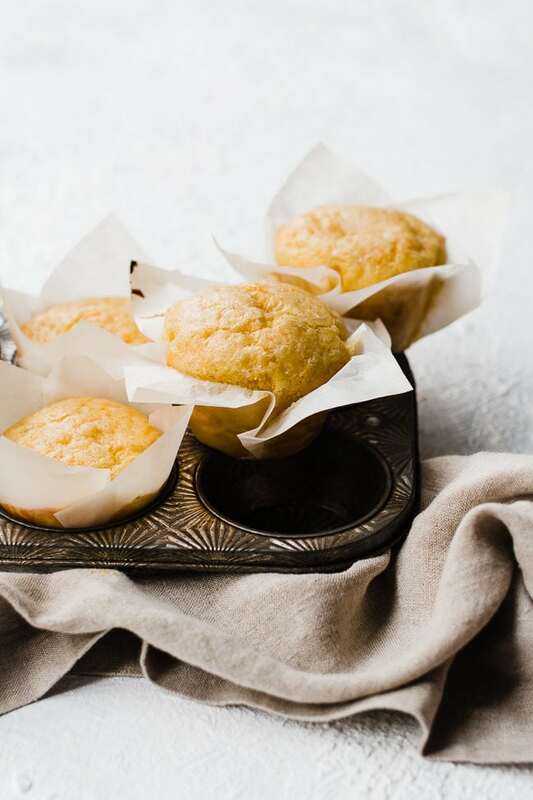 These semi-homemade cornbread muffins are made with minimal ingredients and produce gourmet results. Cheesy, moist, and delicious cornbread made in under 30 minutes. 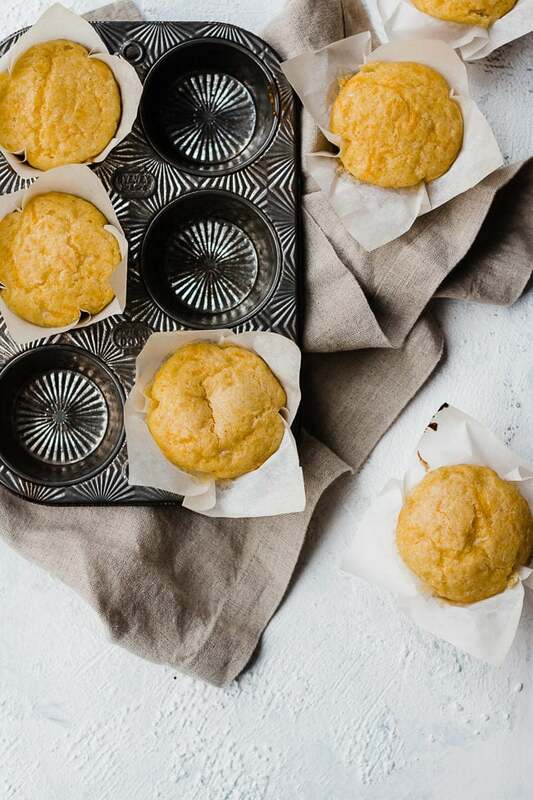 How Do You Make Easy Cornbread Muffins? Step 1: Add all ingredients to your mixer and blend just until combined. Pro Tip – do not over-mix. Over-mixed cornbread turns out tough and dry. 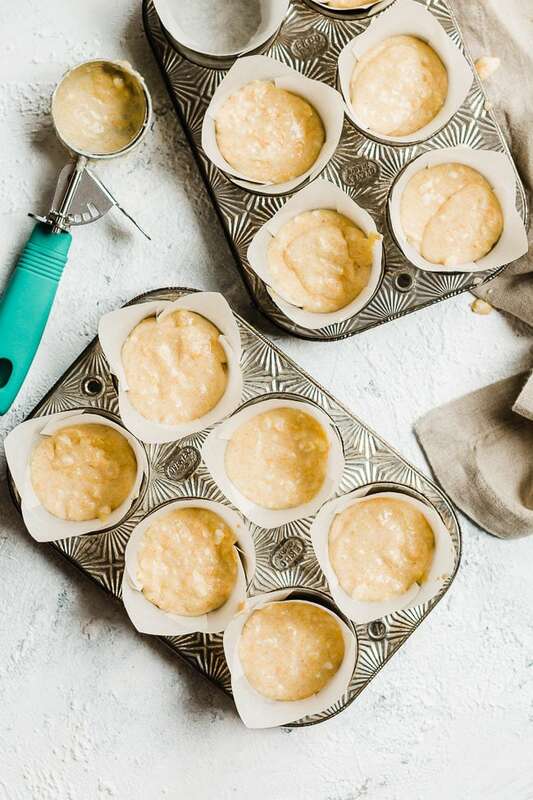 Step 2: Line your muffin tin with paper liners and fill each cup with batter. Pro Tip – use a an ice cream scoop to portion your batter. The size of the scoop is the perfect amount for standard size muffins or cupcakes. Step 3: Bake at 400 degrees for about 15 minutes or until a toothpick inserted into the center comes out clean. Transfer muffins to a cooling rack. Can be served warm or at room temp. 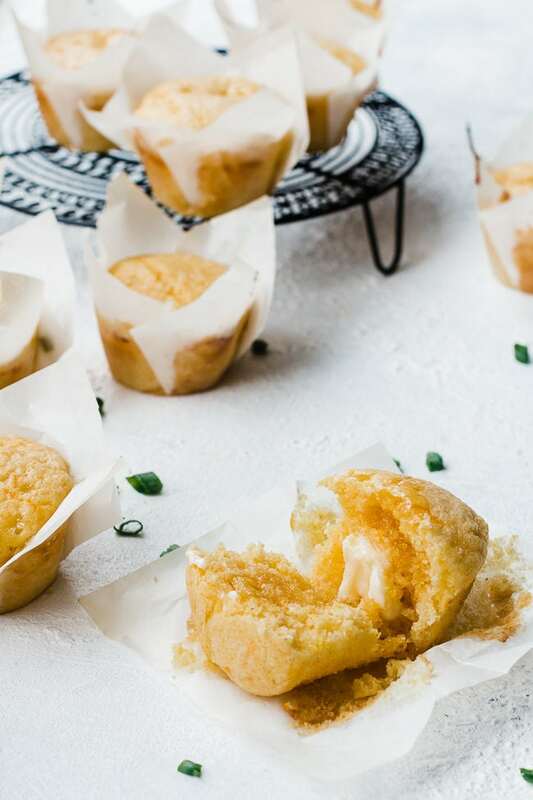 This recipe used boxed cornbread mix, making this recipe one that even the greenest of chefs can complete with flawless results. So don’t be shy! Add this to your next pot of soup, or bowl of chili. 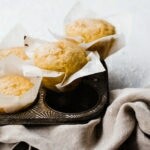 Please let me know if you make these easy cornbread muffins!! I love to hear from those who make my recipes. 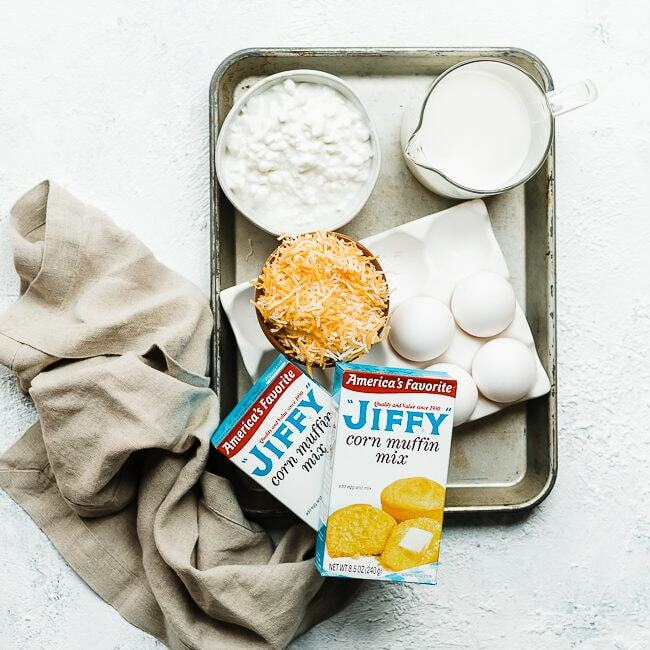 If you want to keep up with our newest recipes, make sure you follow is on Facebook and Instagram, and make sure to subscribe to our newsletter. Preheat oven to 400°F (200°C). Line your muffin tin with paper liners - recipe makes 12 muffins. 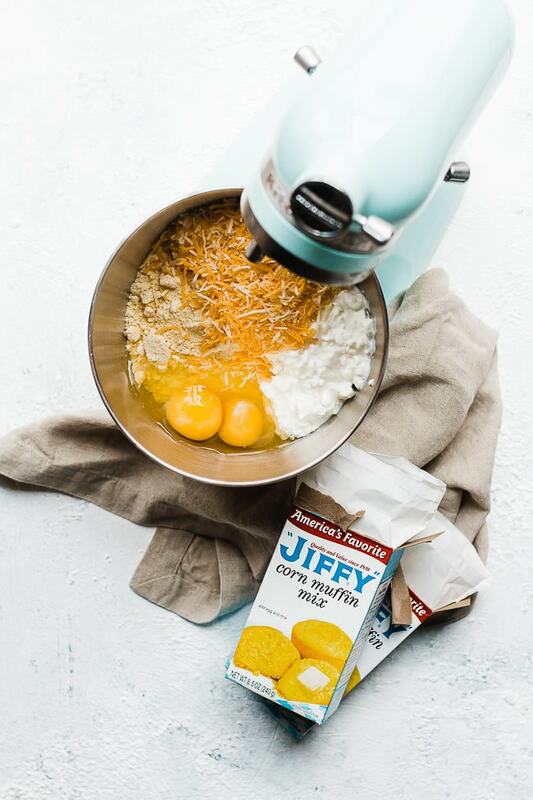 Stir in muffin mix, but don't over mix. Stir in cheese. Using an ice cream scoop fill the muffin tins with about 1/4 cup of the mixture. By using an ice cream scoop you will be sure to make all of your muffins the same size. Bake for 13-15 minutes until center springs back or a toothpick inserted comes out clean. Cool on a wire rack. Can be served warm out of the oven (my fav) or room temperature. Store in an airtight container. These are soo good! Love them Kadee!